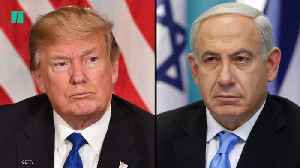 Benjamin Netanyahu intends to name a new settlement in the Golan Heights after Donald Trump. 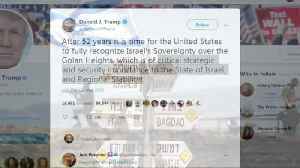 The US president has recognized Israeli sovereignty in the region, which is occupied Syrian territory under..
Media playback is unsupported to your instrument Media captionNetanyahu praises Trump for recognising Israel regulate of Golan Israeli Top Minister Benjamin Netanyahu says he intends to call a brand..
▶ Videos for "Israeli Sovereignty"
In a White House where no secret is safe for long, one development has remained stubbornly confidential - the contents of a Middle East peace plan authored by President Donald Trump’s advisers Jared..
Israeli Prime Minister Benjamin Netanyahu said on Saturday that he would annex Israeli settlements in the occupied West Bank if he wins another term in office, a last-minute pre-election promise likely.. 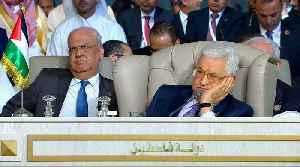 Analysis: Talk but no action: has the Arab League summit failed? 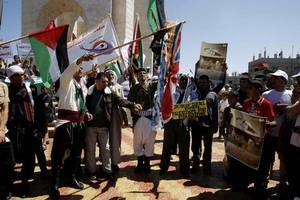 Arab League leaders have condemned US President Donald Trump's recognition of Israeli sovereignty over the occupied Golan Heights during the 30th Arab League summit. 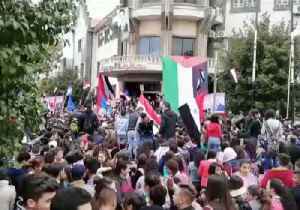 Syrians in several towns and cities protested on March 26 against US President Donald Trump’s decision to recognize Israeli sovereignty over the Golan Heights, the Syrian state news agency, SANA,..
Turkey condemned the United States’ recognition of Israeli sovereignty over the Golan Heights on Monday and called it a violation of international law. A foreign ministry spokesperson said, “This.. 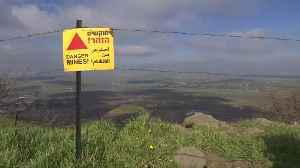 US decision to recognise Israeli sovereignty over occupied Golan Heights generated global condemnation. 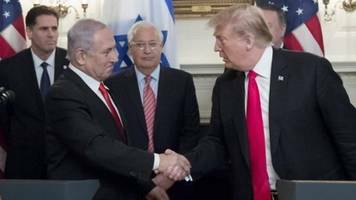 U.S. President Donald Trump on Monday recognized the Golan Heights as Israeli territory in an election boost for Israeli Prime Minister Benjamin Netanyahu who's facing a fierce challenge in upcoming..
President Donald Trump signed a decree on Monday at the start of a meeting with Israeli Prime Minister Benjamin Netanyahu saying the United States recognizes Israeli sovereignty over the Golan Heights,.. 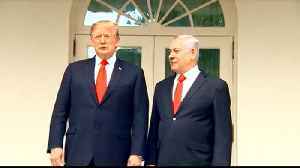 US president signs proclamation formally recognising Israel's sovereignty over Israeli-occupied Golan Heights. 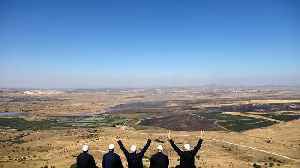 According to a report by Reuters, on Friday, a senior administration official said that the United States is preparing an official document to recognize Israel's sovereignty of the Golan Heights that.. 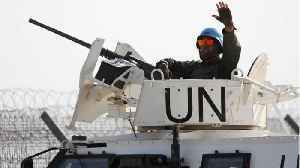 According to a report by Reuters, on Friday, the UN Human Rights Council criticized Israeli settlement expansion into the occupied Syrian Golan Heights, just one day after US President Donald Trump's..
An official told Reuters the U.S. is preparing a document "to codify recognition by the United States of Israeli sovereignty of the Golan Heights." 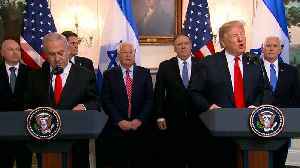 President Donald Trump says it's time for the United States to fully recognise Israel's sovereignty over the disputed Golan Heights, a territory captured from Syria in the 1967 war. 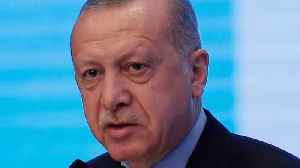 Such a move would..
Turkish President Tayyip Erdogan said Friday that U.S. President Donald Trump’s statement that it was time to recognize Israeli sovereignty over the Golan Heights has brought the region to the edge.. 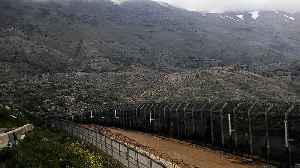 The Golan Heights is Syrian territory occupied by Israel, a German government spokeswoman said on Friday. 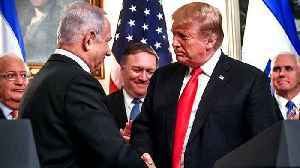 The comment, Reuters reports, was in response to President Donald Trump’s call to..
Secretary of State Mike Pompeo landed in Beirut after visting Israel on Friday. 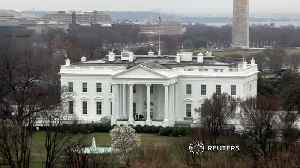 He is expected to pile pressure on the government to curb the influence of the Iran-backed Hezbollah. 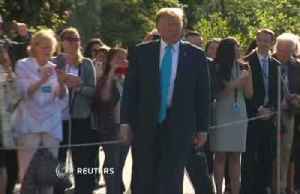 Rough cut (no..
U.S. President Donald Trump said on Thursday it was time to back Israeli sovereignty over the Golan Heights, territory Israel seized from Syria in the 1967 Middle East War. 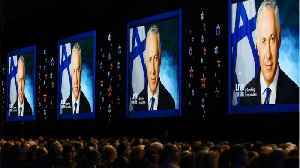 The recognition of the..
By Jonathan Cook* After winning the Israeli election with a slim majority, in a campaign that grew more sordid and vilifying by the day, Benjamin Netanyahu is poised to begin his fifth term as..
Once upon a time states that emerged victorious from war were entitled to claim sovereignty over any conquered territory. 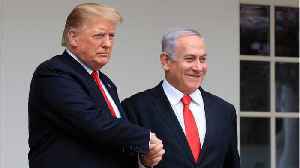 Indeed it was on this basis that the colonial empires of the past, as well as..
Now that Benjamin Netanyahu is set to serve a fifth term as Israel’s prime minister, he could extend Israeli sovereignty over parts of the West Bank-- something he promised to do if re-elected. The..
Minister Erdan said that "I will not an event that glorifies terrorists and violate the Israeli sovereignty, to take place in Jerusalem, our capital." 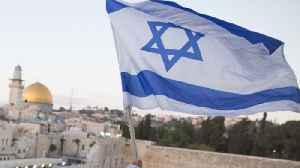 Given the history of India-Israel ties, not much will change regardless of the government in power in New Delhi. By Pinak Ranjan Chakravarty Benjamin “Bibi” Netanyahu is a whisker away from..
Lebanon's president has told a visiting American delegation that Beirut rejects the U.S. recognition of Israeli sovereignty over the occupied Golan Heights because it includes Lebanese areas annexed by..
By Daoud Kuttab Benjamin Netanyahu’s victory in Israeli elections have caused irreparable damage to a two-state solution, analysts have told Arab News. Saeb Erekat, secretary of the Palestine..
Lebanon's president says U.S. recognition of Israeli sovereignty over the occupied Golan Heights undermines Lebanon's claim to disputed territory also annexed by Israel. 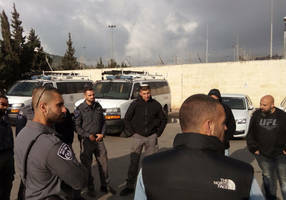 Jerusalem, Apr 8, 2019 / 02:30 pm (CNA).- Israeli Prime Minister Benjamin Netanyahu said Saturday that he will declare sovereignty over existing settlements in the West Bank if he is reelected prime..
Israeli Prime Minister Benjamin Netanyahu vowed on Saturday that he would extend Israeli sovereignty over parts of the West Bank if re-elected on Tuesday. 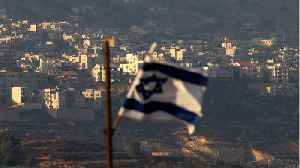 Benjamin Netanyahu’s pledge to expand Israeli sovereignty over the occupied West Bank was short on specifics. 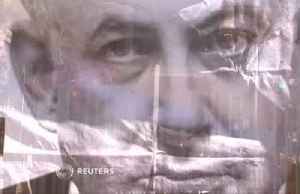 It looks, at first glance, like a typical piece of Bibi electoral gamesmanship, designed.. 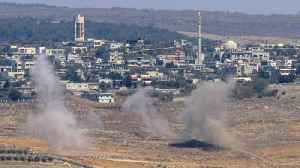 The PM said: ‘I am going to apply Israeli sovereignty’ and ‘I don’t distinguish between settlement blocs and isolated settlements’. 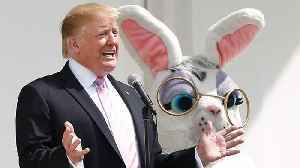 DAMASCUS, Syria (AP) — Syria’s foreign minister says U.S. President Donald Trump’s administration “lies” all the time about withdrawing its troops from the country. Walid al-Moallem also says..
By Dr. Abdellatif El-Menawy* In the past, Arab citizens have always complained about the inability of Arab League summits to produce resolutions that meet the aspirations of the people of the..
By Giancarlo Elia Valori* Despite some initial strategic and political doubts, the United States has kept on maintaining and strengthening its military presence in Syria, especially in the Eastern..
Arab leaders said on Sunday they would seek a U.N. Security Council resolution against the U.S. decision to recognise Israeli sovereignty over the Golan Heights and promised to support Palestinians in..
By Joshua Krasna (FPRI) — The last leg of the Israeli election campaign is unfolding dramatically. 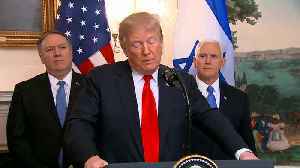 The signing by President Donald Trump (25 March) of a proclamation recognizing Israel’s..
Tunisia will coordinate with fellow Arab countries to contain any fallout from the U.S. decision to recognize Israeli sovereignty over the Golan Heights, Foreign Minister Khemaies Jhinaoui said on..
Thousands of Jordanians have protested against the U.S. decision to recognize Israeli sovereignty over the Golan Heights and against the escalation of hostilities between Israel and Hamas in Gaza.